As the respective party manifestos flop off the press we are taking a look at what each might mean for the arts and culture sector. The culture lobby has made some progress since the last election in moving the arts further up the political agenda. Labour has progressed from two lines to two pages in its manifesto and most of the parties now make some specific mention of the arts. Generally the importance of arts & culture is being recognised. Beyond the obvious question of who is promising the most money to the arts (Greens win on this but there are many question marks over how realistically this is costed!) we want to take a broader look at some of the additional policy areas we think have an impact on the lives of people working in this sector. I was chairing a hustings at The Young Vic last week in the fiercely fought constituency of Bermondsey and Old Southwark. Top priority and concern for the audience there was housing. Not a surprise and it is definitely top of my list too. As a relatively low pay sector where many people are freelancers and have erratic and unpredictable incomes the rising cost and insecurity of housing is a major issue for arts practitioners. The situation is particularly acute in London where the housing boom has hit hardest and where a large number of cultural institutions are based. The Tories made headlines in their manifesto with their Right to Buy Policy for Housing Association Tenants – What the F**k! 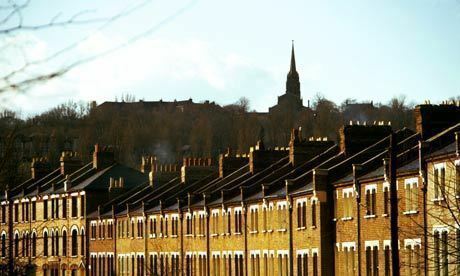 Right to Buy for Council tenants, introduced by Margaret Thatcher, began the rot and we are now in the grips of a real crisis. Social housing is not being built (no Council dares to build because of the danger of homes being sold off). So-called ‘affordable’ housing is nowhere near affordable to people working in our industry and developers manage to weasel out of providing it in most cases any way. Housing Associations provide the most secure, most affordable housing available. The idea that this essential stock of genuinely affordable housing should be sold off at an under value, potentially costing the taxpayer billions in compensation payments to the Housing Associations and then making this property available to developers and buy-to-let landlords is frankly terrifying! Out of the scarce UK housing stock over the past 5 years landlords have made £177billion in Capital Gain alone. On top of that they have received £42.3billion in rent per year (which includes £9billion a year in Housing Benefit) (figures Change.org). Labour is talking about rent controls but they don’t go nearly far enough to address the exploitative anarchy of the private rental sector. They are also talking about building homes, but again not nearly enough. Plaid Cymru and SNP are abolishing the right to buy – that’s a good start! Artists are being used in the gentrification of areas of our cities and then priced out once the developers have finished building their investment properties. Even here in sunny Deptford the ‘luxury’ flats are rising and obliterating the skyline around The Albany as I write. How often do we hear that the Creative Industries are the second most important growth industry in the UK? London is hailed as this great Capital of Culture. The situation is completely unsustainable when the average arts practitioner would have to spend substantially all of their earnings on rent. Housing is a genuine crisis and little is being proposed to solve it. Failure to address the wealth gap in housing will destroy the delicate arts ecology and reduce London to a banking hub. Already we are finding that ITC companies throughout the UK are struggling to recruit – people can’t afford to live in London and can’t afford to relocate. Many sectors argue for special status as ‘key workers’ for their staff (nurses, teachers etc). There has been much talk of trying to achieve this for workers in the cultural sector. Better, in my view though, to campaign for a solution to this crisis for the benefit of all. End housing injustice – homes for the many not investment opportunities for the few. The high cost of housing in Scotland’s north east is a contributing factor to a relatively small cultural offering in the region. Graduates can’t afford to stay in Aberdeen to continue their practise and high rental rates have a significant negative impact on production budgets when it comes to bringing cast and crew into the area to work. However, the oil industry, which is the cause of these high prices, brings a large amount of income into the area, which does then have the benefit of a population that can afford theatre tickets. So a complex set of circumstances in this area, but certainly the high cost of living is one of the main reasons artists and practitioners, both emerging and established, find it hard to thrive in the region. Play the one of the best and world famous online klondike solitaire,now try to play this game,i really like it this game klondike solitaire online play klondike solitaire online free. I agree with you. A stay at home mom can easily be to blame for unhealthy or smothered kids. I can't believe dating abbreviation has any kind of support behind it. Complete nonsense. A working mother can raise healthy children just as a stay at home mother, it depends on the values of the family. Accounting is the field of calculation and make some of the best results in gross profit as well as on loss. The main thing contains best british essays as well as make more over the better impact by time. Accounting is not a simple study.People face problem in learning this. You have asked us extremely amazing question but tell you what, to know the answer dig this now and I have nothing in my mind to say something in reply but I assure you that I will reply you on your question after discussing it with my elder brother.